N.C. Court of Appeals Addresses "Standing" to Challenge Zoning Decisions, and the Manner of Interpreting "Permitted Uses"
The North Carolina Court of Appeals handed down a decision today affecting the “standing” of neighbors to challenge zoning approvals as well as the interpretation of permitted uses spelled out–or not spelled out, as the case may be–in a zoning ordinance. The facts of Fort, et al. v. County of Cumberland and TigerSwan, Inc. are fairly straightforward. TigerSwan submitted a site plan to Cumberland County seeking approval for the location of a “training facility” on a piece of land in the County. The land is zoned “A1 Agricultural District” by the County’s zoning ordinance. TigerSwan classified the proposed “training facility” as a “firearms training facility” and the evidence presented in the appeal established that TigerSwan intends to provide “instruction to military, law enforcement, and security personnel in topics such as weapons training, urban warfare, convoy security operations”, and “[w]arrior [c]ombatives” in order to “teach, coach, and mentor tomorrow’s soldiers”. TigerSwan also intends to provide “courses on topics such as first aid, firearm and hunting safety, and foreign languages for adults and children”. Included in the list of permitted uses for land zoned A1 Agricultural District are “SCHOOLS, public, private, elementary or secondary”. The Cumberland County Zoning Administrator approved TigerSwan’s site plan by “classifying the business as ‘private school'”. Neighboring landowners appealed the Zoning Administrator’s decision to the County’s Board of Adjustment, citing increased noise, potential stray gunfire and groundwater lead contamination from discharged gun rounds. The Board of Adjustment voted unanimously that the neighbors had standing to challenge the site plan approval, but the Board could not reach the necessary 4/5 supermajority vote to overrule the Zoning Administrator’s approval of the site plan. The landowners petitioned the Superior Court for a writ of certiorari. As did the Board, the Court agreed with the Board that the neighbors had standing but held that the training facility is a permitted use in the zoning district. Court of Appeals on “Standing” to Challenge a Zoning Approval. At issue, the neighbors submitted lay testimony and lay affidavits for purposes of showing “special damages” to meet the “standing” standard articulated in Magnum v. Raleigh Bd. of Adjustment (2008). The Court of Appeals affirmed the trial court’s decision as to standing. Deflecting an argument that “lay testimony” is not proper to determine standing before the Board of Adjustment, the Court made clear that the prohibition against “lay testimony” in N.C.G.S. 160A-393(k)(3) applies only to a Court’s review of the substance of the Board’s decision, not to any “standing” analysis. In other words, the Court concludes that lay testimony is “competent” to confer standing for purposes of 160A-393 however it is “incompetent” for purposes of reviewing the substance of a Board decision in the nature of certiorari pursuant to 160A-393. Whether “Training Facility” Is a Permitted Use. The Board concluded, and the trial court agreed, that the “training facility” is permitted as a “private school” in the property’s zoning district. The Court of Appeals, however, reversed, concluding the “training facility” to be an impermissible use. Applying the “rules of statutory construction” and looking to the the “spirit and goal” of the zoning ordinance at issue, the Court of Appeals analyzed the “permitted use provision at issue. Notably, the Court stated, “[W]e find instructive this Court’s use of the long-standing rule of statutory construction: ‘expressio unius est exclusio alterius’, meaning the expression of one thing is to the exclusion of another.” In other words, depending on the application of this rule, silence could be interpreted as prohibition. Also notably, the Court made no mention of another axiom as to the narrow interpretation of zoning laws as a “derogation of rights”. The Court concluded, “Training Facility is not a permitted use as it is not a public or private, elementary or secondary school”. The Fort, et al. decision marks a more liberal approach to a “standing” analysis for purposes of challenging a zoning decision, though a more strict approach to interpreting a zoning ordinance. Mike Thelen is a lawyer in Womble, Carlyle’s Real Estate Litigation practice group. 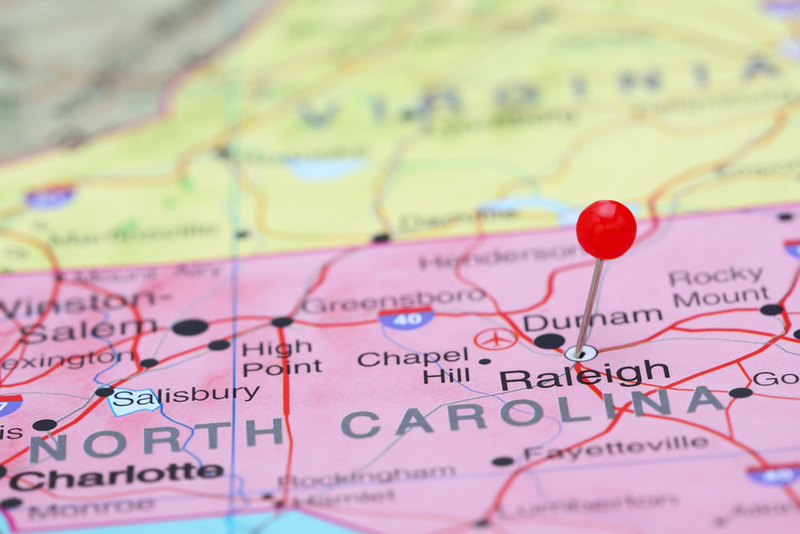 He regularly represents a wide variety of clients, from local governments to businesses, in land use and land development issues in both state and federal venues throughout North Carolina. New Hampshire Supreme Court Rules That Lowering Pond’s Water Level Not a Taking of "Constitutional Dimension"